Damaged wheels and the component which damaged them. A look at the images from Paul Powell's damaged Hellcat Challenger. 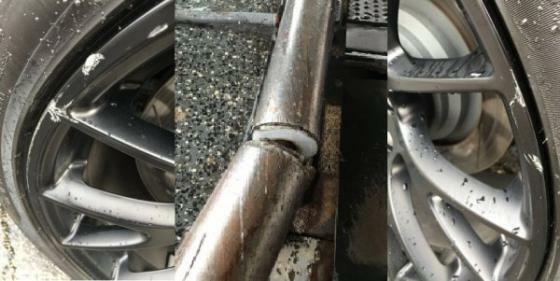 This damage was the result of a poorly maintained automated car wash, where the guide rails gouged up both driver's side wheels.